LinkedIn co-founder Reid Hoffman talks about the potential of bitcoin's underlying platform in a new interview with CNBC. The post An Interview With PexPeppers – A Small Business Accepting Bitcoin And Other Digital Currencies appeared first on CryptoCoinsNews. The post Bitcoin Price Prediction Tool: Amazingly Accurate appeared first on CryptoCoinsNews. Innopay Report: Is Bitcoin Fad or Future of Payments? The report explores how banks, consumers and investors may embrace bitcoin, should it succeed, over the next few years. The new funding is the cryptocurrency-buying service's first since its formal launch earlier this year. One day this past February, David, 29, who asked to be identified only by his middle name, sat in an office on a military base in Afghanistan. As a contractor for the Department of Defense, he worked about 90 hours a week. The rest of his time was devoted to researching investments online. “There wasn’t much else to do,” he tells Business Insider. David had known about Wall Street’s green rush since 2010. He understood the dangers that went with investing in a potential bubble, like over-valuation and pump-and-dump schemes. But he kept watching FusionPharm’s video. As Dittman, a ruddy-faced blond in a casual button-up, explained the company’s products and business model, his ten-dollar words would have reassured any inexperienced investor. 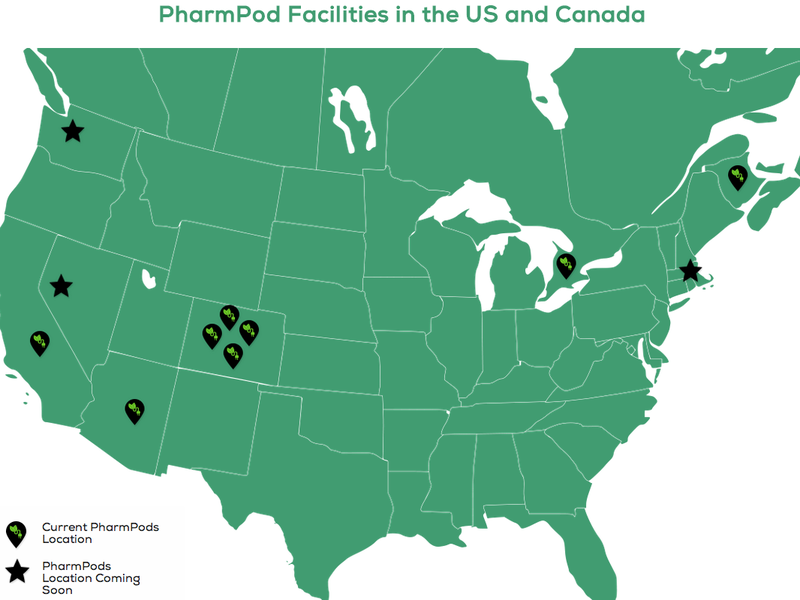 He noted that FusionPharm planned to undergo auditing before the end of the year and expand to Massachusetts and Washington, both considered medical marijuana hubs. 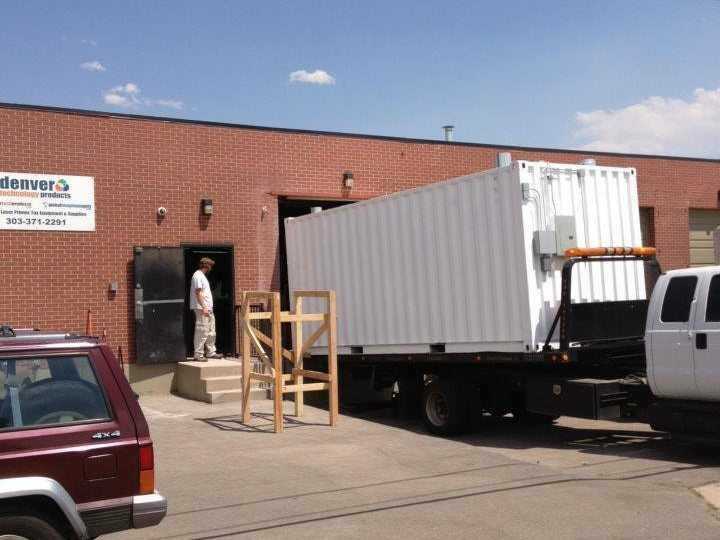 "We're going to ship more PharmPods in the next 45 days," Dittman said on screen, "than we have since the beginning." Washington started selling recreational weed on July 8. At that point, David knew he wanted to invest in FusionPharm. “If a company plans on getting an auditor, it means they’re legit,” he says. “For a penny stock, that’s pretty important.” In February, David bought a couple thousand dollars of the stock from his desk chair in the desert. 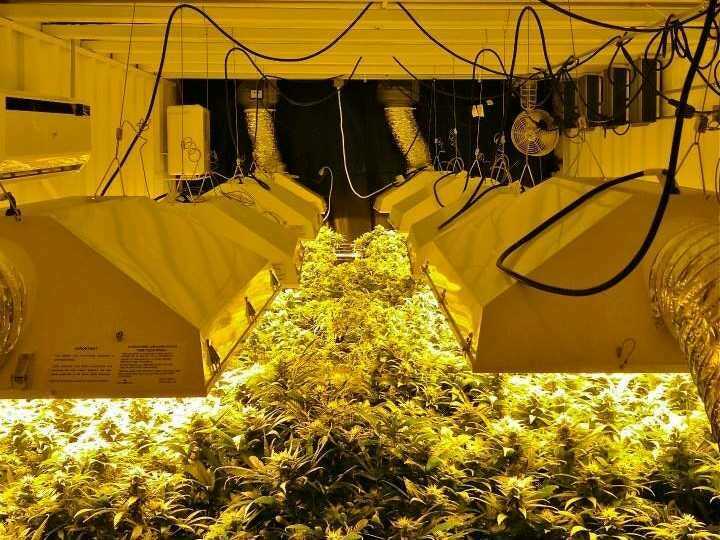 “All of the stocks surrounding pot just exploded in anticipation of it becoming a more legal industry,” he explains. “I wanted to get in early on the investment.” At one point, David’s stake in FusionPharm hit $7,500. Experiences like David’s were exactly what the SEC was trying to avoid when it issued an investor alert on marijuana-related stocks in mid-May. That day, the agency suspended trading in FusionPharm, having already done the same to four other marijuana-related companies: Canna Business Group, focusing on real estate for the marijuana industry; GrowLife, a hydroponics provider; Advanced Cannabis Solutions, which also leases growing space for licensed marijuana-growers; and PetroTech Oil and Gas, a natural resources company that recently expanded into cannabis and hemp. All of these stocks currently trade or have traded at the penny-stock level, meaning the shares usually trade below $5 and not on major exchanges. Because of their volatility and illiquidity, penny stocks already pose heightened risk to investors. And aside from their tickers’ positions at the less-regulated microcap level — and their focus on the nascent legal-cannabis industry — the companies shared several other characteristics the SEC tends to consider red flags: reverse mergers, reverse stock splits, and low initial public offerings. Note: Business Insider is not implying the companies mentioned engage in unlawful practices, only that this market lends itself to greater opportunities for fraud, as noted by the SEC. 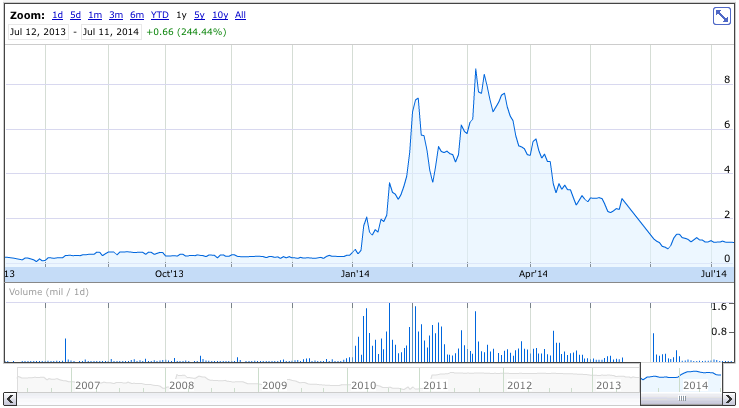 After rising from 25 cents to over $7 between the end of November 2013 and early February 2014, FusionPharm’s stock started dropping. It’s now down to 95 cents (as of July 11). The day before the SEC’s suspension, the stock was trading at $2.89. Ten business days later, when trading resumed, it was at 82 cents. During a suspension, the company's broker can't issue quotes in that stock, which makes buying and selling much more difficult. And when the SEC suspends trading to communicate concerns about the stock, the price will likely decrease, professor of securities law at the University of Toledo Eric Chaffee tells Business Insider. While the move harms investors who didn’t sell the stock quickly enough, the SEC considers those losses the lesser of two evils. Before reinstatement, companies must file a 15c211 form, which FINRA will review and approve. “It’s very difficult for the stock to trade again,” Brenda Hamilton, founder of Hamilton & Associates Law Group, tells Business Insider. “Very few companies recover from these suspensions.” Hamilton's firm often shares information with the SEC and FBI on potentially fraudulent companies. Luckily, David sold his final shares before the SEC stepped in. “Unlike some investors, I wasn’t burned by the suspension,” he says. “I was burned by the stock’s price decline before that.” When he noticed his investment faltering in March, David started thoroughly researching FusionPharm. “Since I was now trading for a living, I had time to do that,” he said. “A regular investor might not.” And he quickly discovered glaring issues with the company’s public image. First, although Dittman said in his YouTube interview that the company planned to undergo auditing, FusionPharm filed a disclosure statement on March 31 indicating it had no auditor or accountant. In fact, Dittman, an ex-CPA, handles FusionPharm’s financial documents himself, according to an attorney letter from December 2013. Worse, OTCMarket's banned the company’s legal counsel, Guy-Jean Pierre, in 2010, and the SEC later charged him with issuing fraudulent attorney opinion letters that resulted in more than 70 million shares of microcap stock becoming available for unrestricted trading. On June 2, a few days after FusionPharm’s trading reinstatement, the company released a document explaining the origins of the SEC’s investigation: failure to disclose the company's relationship with Williams Sears, Dittman’s brother-in-law. Sears is an officer at two companies, Vertifresh and Meadpoint Ventures, with which FusionPharm has done considerable business. In 2007, Sears pleaded guilty to federal charges involving securities fraud and bribery. He and his wife encouraged their clients, many of whom were retired, to invest substantial amounts of their savings in high-risk securities while failing to disclose that obvious risk, according to the SEC’s complaint. “If you’re a small company, and the people involved have a history of stock scamming,” David says, “I don’t think they have the best interests of their investors in mind.” The company’s press release also mentions that as part of the investigation for potential securities law violations, the federal authorities raided FusionPharm on March 16, seizing records, computers, and about $200,000 in funds from the company’s bank accounts. “It’s not a good company,” David adds. Part of the reason involves the nature of penny stocks, which trade on over-the-counter systems, also known as the "Pink Sheets." For stocks to trade on national exchanges, they must be registered with the SEC and meet other rigorous standards. The Pink Sheets are considerably more lenient. 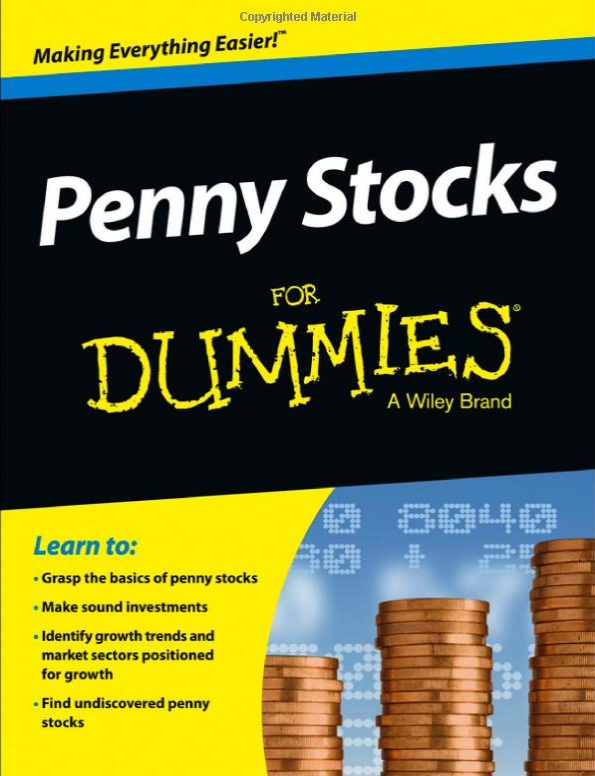 “The reporting requirements for the Pink Sheets are so low," Peter Leeds, author of "Penny Stocks For Dummies," tells Business Insider. "Almost anyone can get on them." Stock watchers also view corporate name changes as a red flag. On FusionPharm’s only SEC filing (an exemption), the company reports having no previous names. But in its March 2014 quarterly report, filed on OTC Markets, FusionPharm acknowledged having changed its name in 2011 from Baby Bee Bright Corp., which manufactured and sold prenatal audio systems. 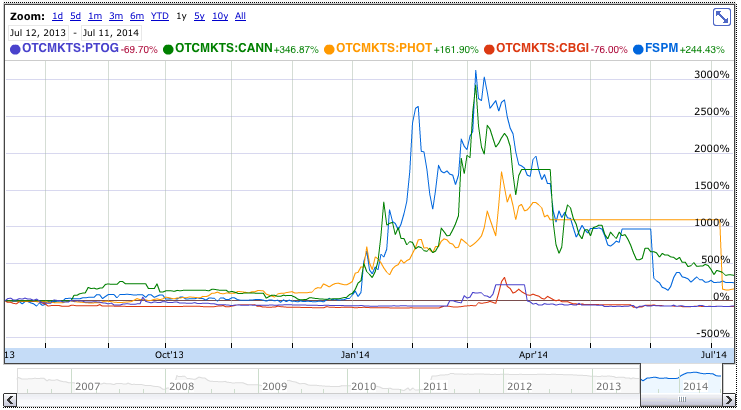 Indeed, according to FusionPharm's OTC Markets profile, the company has changed its name four times since 1998. Baby Bee Bright originated through a reverse merger, another maneuver that tends to raise eyebrows. During a reverse merger, a private company will, in essence, acquire an SEC-registered “shell” company with little or no operations to bypass the lengthy and complicated process of going public, according to Hamilton. “We call it wash, rinse, repeat,” she says. Under most circumstances, a company that plans to go public is required to file with the SEC and undergo a review. With a reverse merger, it can skip all that. Some observers advocate closing this loophole. “The first thing the SEC could do is eliminate reverse mergers altogether,” says George Sharp, a known penny-stock investigator. In 2013, he sued Awesome Penny Stocks, a large email scam. The operation, which allegedly manipulated the prices of stocks, shut down in March after the SEC filed a civil complaint against it, Bloomberg reported. Sharp also readily exchanges research with Hamilton — as well as the SEC and FBI — on these companies. While reverse mergers are legal for now, they open the door to questionable practices. For instance, corporate hijackers can simply locate a dormant, public company, even one that’s gone bankrupt, and draw up reinstatement documents. “They’ll go in and literally steal them,” Hamilton says. “It’s hard to believe. And there are probably hundreds of these companies that were obtained in this manner.” Sharp also noted that it's a favored technique of organized crime syndicates. Sitting in Hamilton’s office several weeks ago, he wondered how many people wanted them dead. He's already received threats after bringing some of these companies down. Going public at such a low share price also leads to reverse stock splits, another concern. These processes reduce the number of outstanding shares, which increases stock prices, making the security more attractive to potential investors. “It creates the perception that the value has appreciated greatly,” Chaffee says. “But it really shows the opposite.” Since 2003, FusionPharm, then operating under its previous incarnations, has reverse-split its stock four times. Even facing such risks, investors salivate over the chance to grab an early stake in these companies. Stories of people like Bart Mackay, considered the “first pot-stock billionaire” (although his company deals in hemp, not marijuana) make the market even more attractive. “I wanted to get into day trading and leave my old career,” David explains. “At the time, marijuana stocks were the hot stocks.” He wasn’t alone. Hamilton compares the current green rush to the 17th century’s tulip mania. It's worth looking at the numbers. For the quarter ending March 31, OTCMarkets put FusionPharm’s net income at -$48,000, giving it a negative earnings per share. Nonetheless, from January to the end of March, the stock grew from 50 cents to nearly $5. Decades later, Oren now runs hotstockmarket.com, where stock promotion still occurs. But he and the other moderators force promoters to identify themselves when they register, to help inexperienced investors identify biased information. If 10 people on a board are claiming a stock made them millions, Oren notes, it’s a promotion. In another common tactic, according to Oren, one person will start a thread complaining about a stock, and other “commenters” jump into the conversation to convince him or her of its incredible value. “All the tricks are the same,” he says. The recently created marijuana board on Oren’s site contains pages of such discussions, including a challenge to turn $100 into $100,000 in 10 months. FusionPharm is currently or has been involved in 13 different promotions, seven of them paid for by an undisclosed or third party, according to stockpromoters.com. "All of these campaigns, the end goal is always the same,” Hamilton claims, “for insiders and promoters to dump their shares while investors buy.” Aside from helping companies abide by the SEC’s trading rules, her firm handles lawsuits for financial whistleblowers. In fact, she’s involved in ongoing litigation against a marijuana penny-stock company, although she couldn’t comment further. While American Green didn’t incur a trading suspension from the SEC, it has never filed with the agency either. But it does keep regular, albeit unaudited, records with OTC Markets, where its stocks are quoted. A pop-up on the company’s website forces new visitors to confirm they “read” and “understand” the risks of investing in an over-the-counter stock before proceeding. “You can’t say, ‘Oh, I had no idea this could change by 80% in a week,’” Shearin explains. “We are absolutely 100% convinced that you should not put your family's dinner money in. Or if you're looking forward to that vacation. Do not put the money in because we cannot guarantee anything." 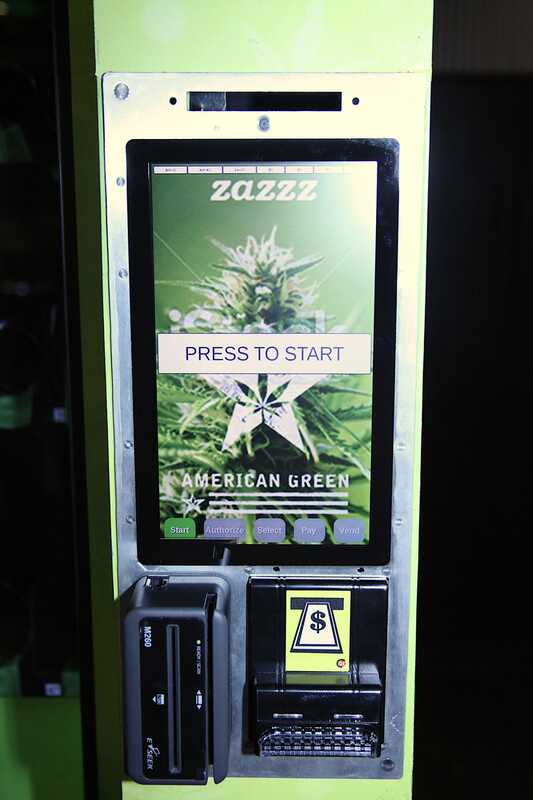 On a Colorado barbecue joint’s patio in April, American Green unveiled its most anticipated product to date: ZaZZZ, an “automated, age-verifying, climate-controlled marijuana dispensary,” or pot vending machine. Customers — who can pay with credit cards, cash, or bitcoin — insert their ID into the machine. 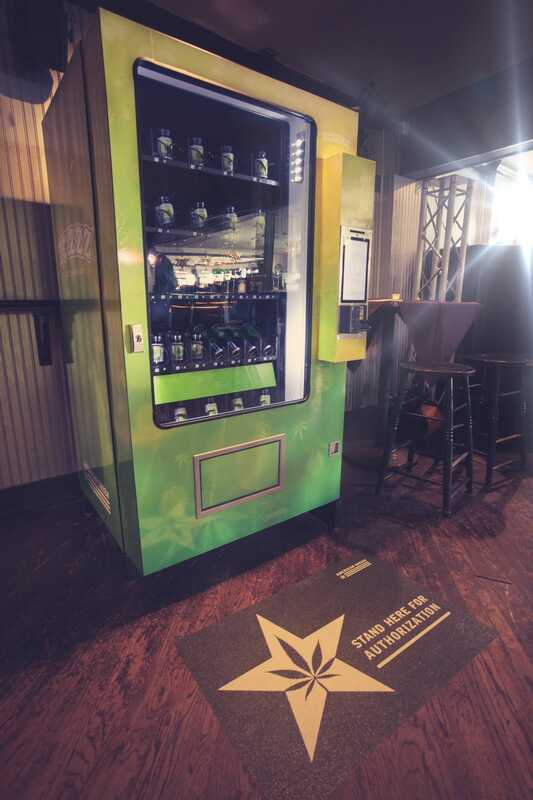 As soon as the touch screen, which uses biometrics, declares them “verified,” it offers a variety of pot strains as well as edibles like gummy bears. But “if there is a doubt, no cannabis comes out,” as the company’s saying goes. The media jumped on the news. ZaZZZ’s debut grabbed the attention of Conan O’Brien, who included a bit about the event on his show. And in early June, the company reached a preliminary agreement with Future World Energy Inc. for the installation of 1,500 machines nationwide. The news, however, didn’t increase the stock price, which stills hovers around 3 cents. “It started a steady decline," Shearin admits. "I’m sure we’ll take a beating in the short term from time to time.” As of now, the machines distribute only for medical purposes in licensed facilities, but Shearin hints he envisions expansion for recreational use in the future. Aside from ZaZZZ, American Green also markets a patented system for watering (marijuana) plants. As its website explains, earth’s prehistoric atmosphere contained oxygen levels 30 to 50 times higher than today — and the more oxygen in the air, the more oxygen in the water. Thus, American Green dreamed up the “Jurassic Oxygen System,” which douses plants in water with quadrupled oxygen levels, causing “explosive growth,” the company claims. The Jurassic system falls under the cultivation division of American Green, which also owns a clothing line and a cannabis-themed e-zine. Still, a closer look at Tranzbyte reveals a few reasons for caution. First, it still operates in the red, just like FusionPharm. Financials from the quarter ending March 31 puts the company’s total assets at about $4.4 million — and its liabilities at $6.8 million. And a whopping 318 campaigns currently promote Tranzbyte, according to stockpromoters.com. Shearin remains adamant, however, his company never pays for these campaigns. With such innovative-sounding products, it's no wonder David and other investors wanted to play the marijuana market. But even companies that try to set themselves apart have their problems. “I had my suspicions that a bubble was being traded,” David explains. “Hindsight is 20/20, and I obviously should have sold earlier." Now that David has lost nearly $5,000 of his contract cash trading FusionPharm, he understands the risk. “I’ve learned to stay away from these marijuana stocks,” he says. And he continues to warn other investors, placing comments on message boards that report any shady connections or questionable practices he comes across. “I am obviously very upset with FusionPharm, which is why I’m spending so much time and effort,” he explains. “I don’t like getting ripped off, and I [want to] ensure that justice is getting served." Bitcoin mining hardware manufacturer Butterfly Labs stands accused of buying buttcoins.org anonymously to improve its image. The post CryptoCurrency Films – Bitcoin: The End of Money As We Know It appeared first on CryptoCoinsNews. The post Virtual CoinBox, Truly a Unique Marketplace appeared first on CryptoCoinsNews. The post “The Rise and Rise of Bitcoin” Screening at Chicago’s North American Bitcoin Conference appeared first on CryptoCoinsNews. The post My respons to TomOnBTC’s “Bitcoin News Sites & Dishonesty” appeared first on CryptoCoinsNews. Se connecter au réseau bitcoin sans la moindre connexion internet ! The post Se connecter au réseau bitcoin sans la moindre connexion internet ! appeared first on CryptoCoinsNews. The post Bitcoin News in Review: Gold Companies, Mt. Gox, Bitcoin Foundation, and More appeared first on CryptoCoinsNews.